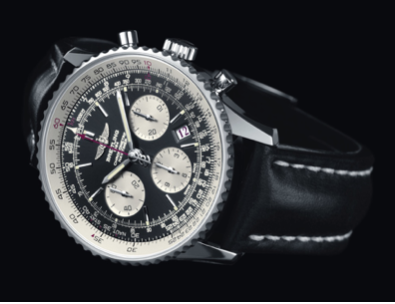 Home › Old & Rusty › Breitling Navitimer – another dream fulfilled. As I review the things I tend to write about, one fact becomes apparent with all of them. I seem to be interested in products that have been around for a long time, have a great following and by the time I get around to achieving the dream of ownership, I have built up an understanding of the things that make up the product so that I understand the craftmanship that is involved with their manufacture and subsequent following. Nothing is more of an indicator of such a fact than the item I’m about to tell you about today, the timepiece Known as the Breitling Navitimer. This bespoke item has become associated with aviation for as long as I can remember and as such has been on my radar for more years than I would care to say but probably through great product placement and associations with the great and good of aviation the following it has generated has enthused me to the point where I wanted one around ten years ago and have only recently satisfied that desire. Yes, iconic actors like John Travolta have endorsed the brand, but through their ballooning activities Breitling have always been there or there abouts, and you find the most discerning of people have one in their collection. I always remember Kelvin Oakley at Lindstrand balloons had one and it was always a talking point whenever we met, both having a mutual appreciation of watches. The actual watch has the most amazing bezel I think I’ve ever seen with a multitude of functions that you can sit through a 20 min U -tube video about its functionality and still really be none the wiser and when you look back into the history of the product you realise the history goes back quite a few years more than you would have imagined. It transpires that the Navitimer hails from 1952 when it emerged featuring a movement called Valjoux 72(as used on the vintage Rolex Datona). This was the norm for a three handed movement around those times, however it was a time of innovation and Breitling didn’t sit back on its success and so brought in another movement the valjoux 7740 which was a hand wound mechanism using a cam to display the date. The final part of the progression came in 1969 with the automated chronograph function arrived called the Breitling calibre 11. The man behind this innovation was a chap by the name of Gerald Dubois who introduced the left-hand push buttons. Dubois worked together on the chronograph with Willy Breitling (grandson of Leon who created Breitling timepieces), and with Jack Heuer (of TAG Heuer fame), to create the chronograph as we know it now. The revolution with the product relates to a slide rule built into the bezel function, which calculates such things as speed, fuel consumption and distance by using the functionality as an instant calculator. The product has evolved with various types since its inception but remains pretty true to the original. Watch sizes have ranged from 38mm right up to the current 46mm sizes with the 43 proving very popular and over the years various upgrades have taken place most recently with the Navitimer 01 range. Like most things that have an appreciation, my purchase of the dream came unexpectedly and quite quickly when I approached a reputable company in Manchester late last year enquiring about a used 18-month-old example which was listed on ebay. This appeared in my price range and represented a serious saving on the list price of a new example, (so obviously someone had taken a hit on their investment). Upon enquiry to the shop the sale was agreed but I was taken back when the proprietor of the shop rang me back asking could I afford to spend £100 more than the agreed price? I asked why? He then told me that he had more scope to offer greater discount against a new purchase rather than the used example I was intending to buy and if I would pay the extra I could then have a brand-new unused example. Like most timepieces, the history and paper heritage are all part of the ownership of the part, so from that point of view my purchase new fullfills all those important aspects of the future provenance that collectors always look for with watches. For me it’s simply the joy of ownership of something that has for a long time been an ambition and associated with its aviation lineage now provides pleasure every time it on my wrist. As another diverse unique item for inclusion on this site, I submit the Breitling Navitimer as the latest vintage collectable that I just happen to have the good fortune to be an owner of. 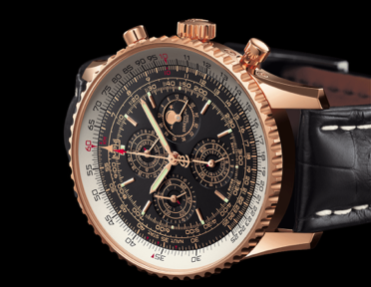 “Classic Vintage and Stylish”, three words that seem to sum up the Breitling Navitimer.